This year’s SIHH brought us a few mini-trends, that seem to enter the watch world and shape its presence. 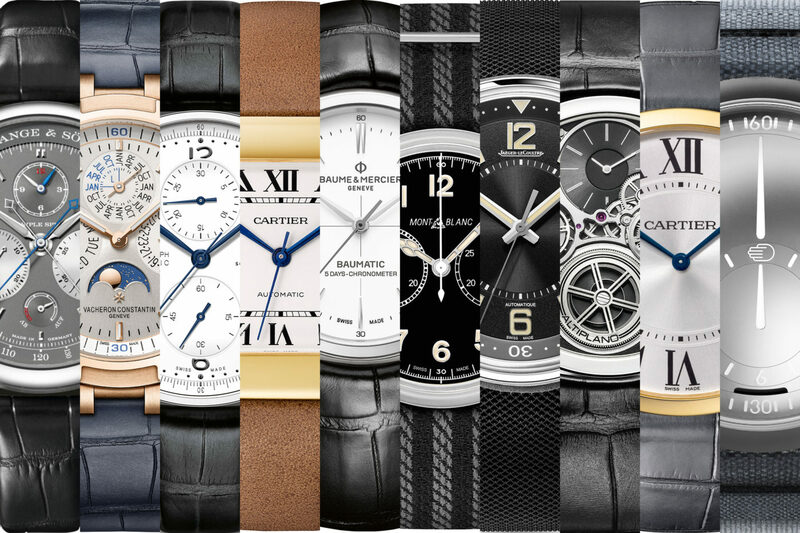 Here is our top 10 of the most interesting, in shape of particular watches of our liking. 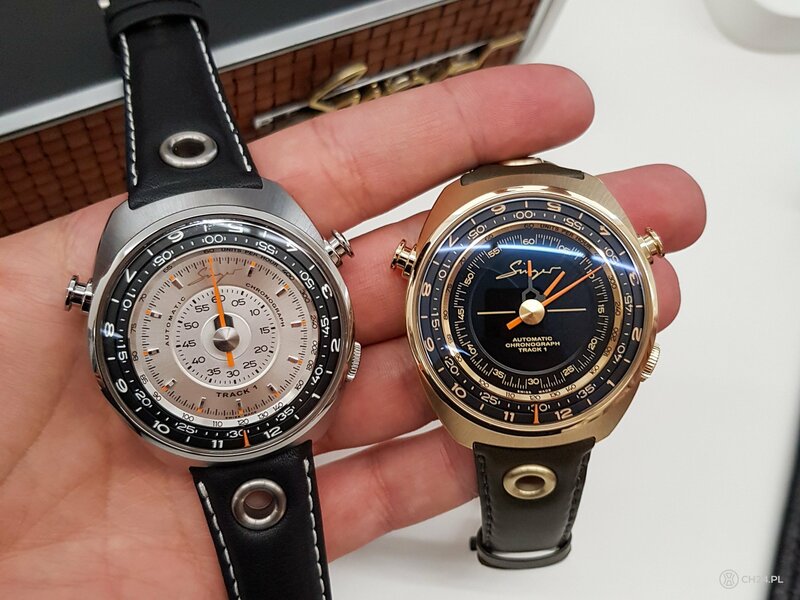 Salon International de la Haute Horlogerie 2018 is a thing of a past. We’re back form Geneva with tones of materials, equally huge tiredness and first thoughts about how the future of watchmaking might look like. This SIHH was biggest one ever, with record number of participating brands, guests, journalists and visitors (few thousands bought a ticket for an open day, each at 75CHF). 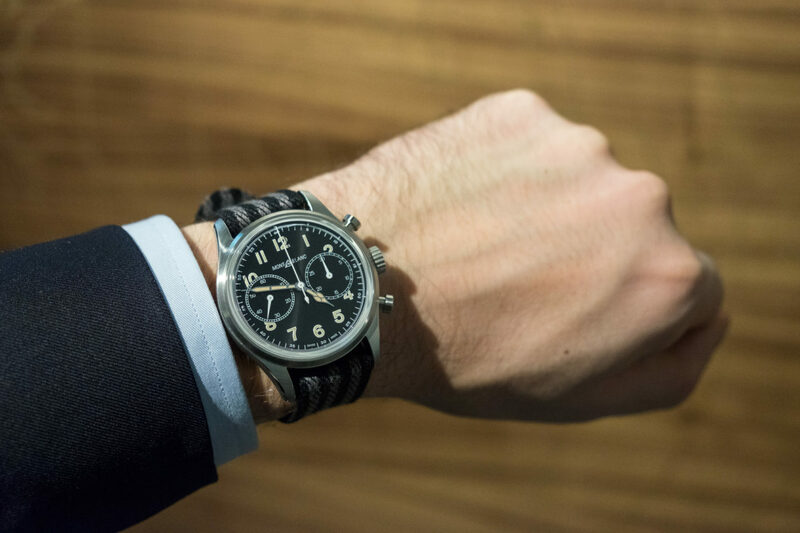 As it is a first major event in a industry calendar, SIHH sort of sets a tone for a coming year of novelties. This year – thank God – new vivid colors and complications stepped down and were replaced by a placing the customer first and understanding what he actually wants. There are more and more new pieces truly representing reality, with accessible prices and without superfluous functions. The art of building watches seems to be coming back down its roots, the essence of what true watch-making was all about. There were non the less a few spectacular uber-complications and watches worth “millions” also – after all High Watchmaking is part of the great show. 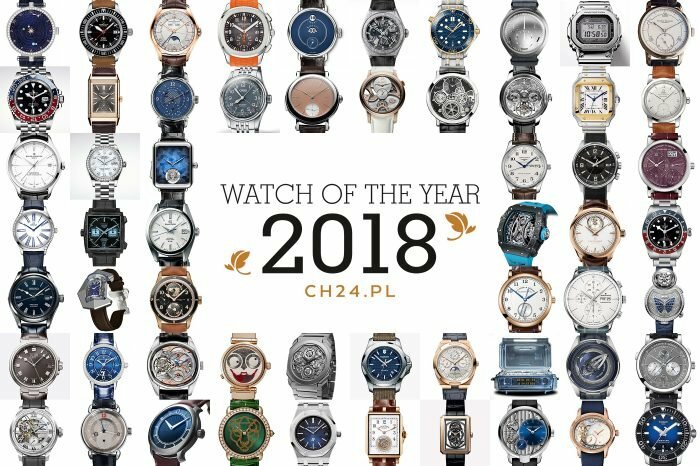 So, without farther ado, here is our TOP 10 list of the “Best off SIHH 2018”. Let’s start of the high note… very high. You probably now by now that chronograph is my all time favorite complication, so I take all of the new chronos and innovations with open arms. Not everyone know how hard it is to actually make a properly working chronograph and that most watchmakers would rather work on a tourbillon than on a mechanical stop-watch. Triple Split is complicated threefold and one might easily call it the most advanced chronograph ever. It is the first time, when a mechanical watch can measure two simultaneous times up to 12h long. Lange packed it in a very reasonably sized case, typical brand’s aesthetics and equally reasonable (relatively) price. Chapeau bas!… or should I say Hut runter! Since we kicked off with the high note, allow me to keep that in my first choice too. 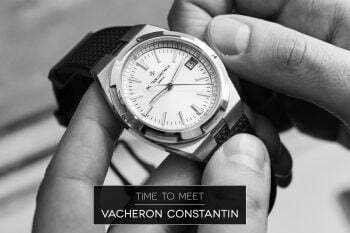 This Perpetual Calendar form Vacheron Constantin might not be actually new (it was already presented in different case 2 years ago) but it actually is a great proof how small changes can make a completely new watch. 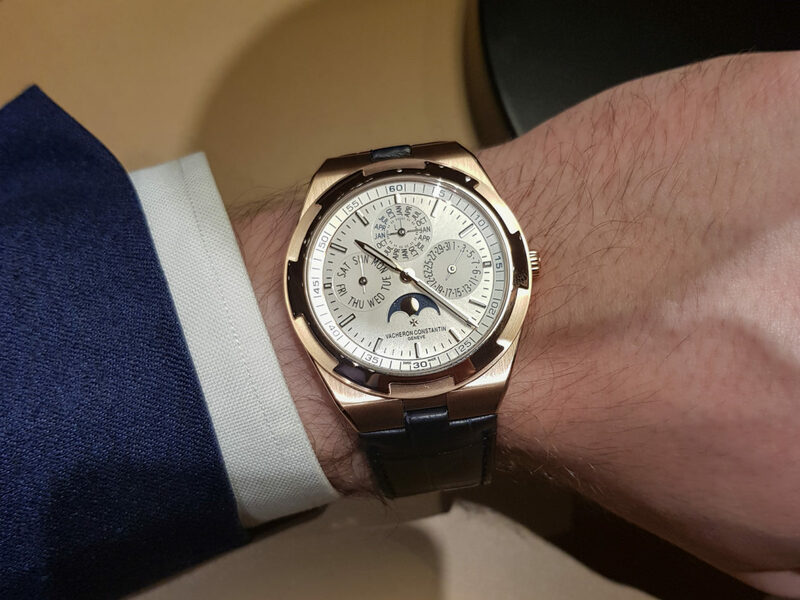 This QP isn’t to big or chunky, looks elegant and – as all Overseas models – feels like a sports watch. This means it’s far from boring and actually can be worn as a daily watch rather than ending up locked in a safe, like most complicated watches do. 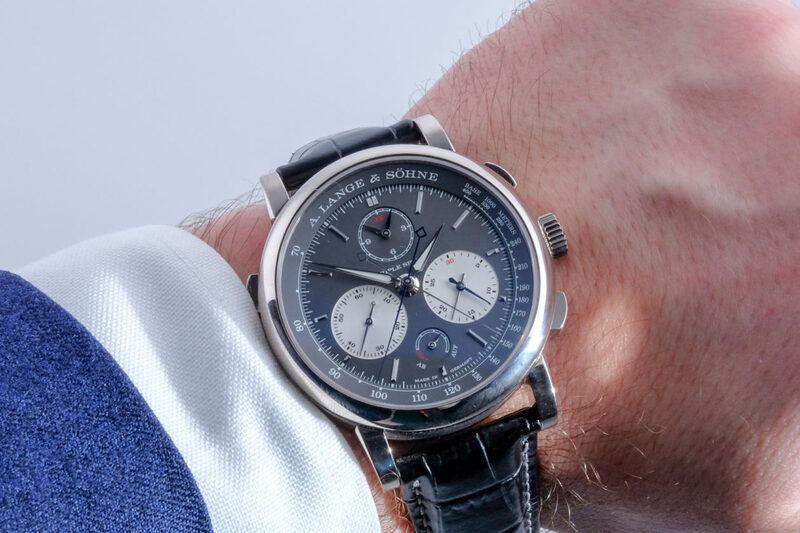 Lange (choice nr.1 on this list) is undoubtedly king of this year’s chronographs, but will it mark it’s place in the history of this complication as strongly as a classic “Portugieser” – hard to call. The Portugieser Chrono makes part of the IWC collection for over 30 years now, in an almost unchanged shape, as clear and simple as it gets. New, jubilee edition stays faithful to the original one (with an addition of two lacquered dials), just slightly bigger and equipped with an automatic 69355 caliber with a column wheel. I’d go for a white dial – blue applications reference. What’s more, the new version is merely 5% more expensive than the previous one. After trying on hundreds of watches in Geneva one of my favorite – to my own surprise – has to be the new Santos. The squared icon form the maison Cartier came to life 4 decades ago and thanks to smart development kept it’s original spirit to this day. Pay attention to details like the screws that hold the bezel and bracelet links, blued hands and characteristic roman numerals on the white dial – all this makes a clear and coherent whole. 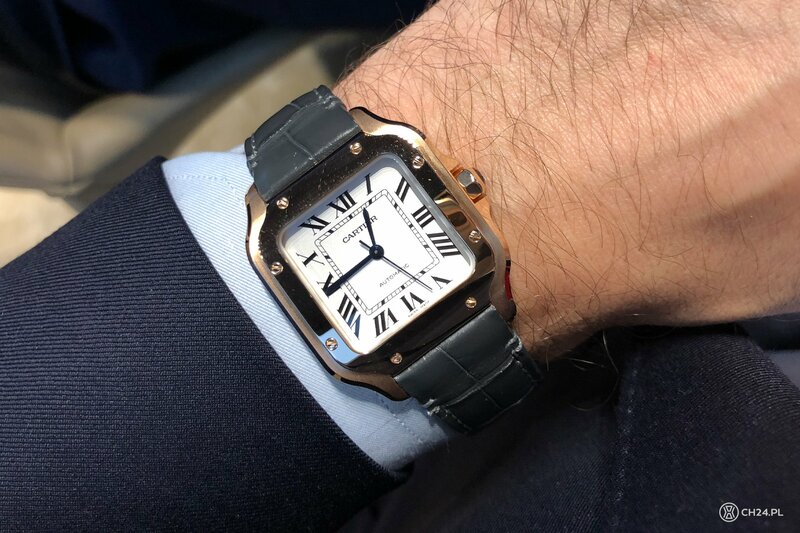 And although I prefer the Tank from Cartier, I have to admit the “large” Santos in bi-color steel-gold looks great. It’s worth adding that timepiece starts from 5.000EUR in stainless steel. I’d never think that I will actually include a most budget-oriented brand of Richemont Group here on our list. 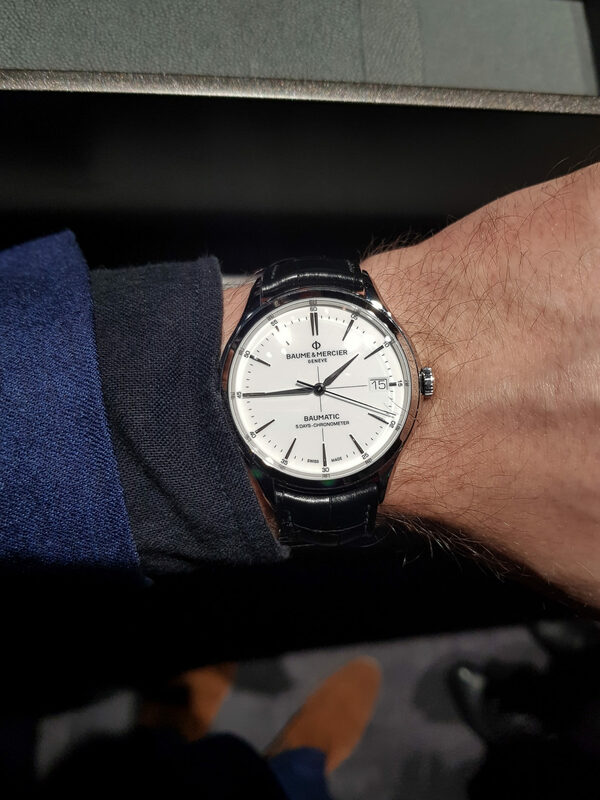 I also didn’t think that the Baume & Mercier Baumatic – presented just before the SIHH – will make me smile so much once I see it in the metal. In short – Clifton Baumatic is a manufactured (sort of) classic watch in a perfect size of 40mm with a chic white dial and an automatic movement build for B&M by ValFleurier. 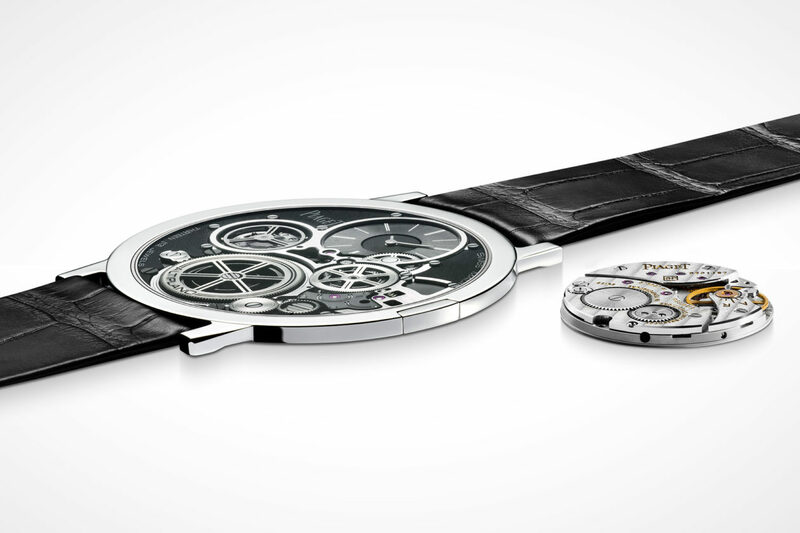 It has been equipped with a silicon escapement – first in Richemont’s history – and full 5 days of power reserve. All for just under 2.500CHF, which makes it even more interesting. Montblanc is still searching his way in the watchmaking universe. 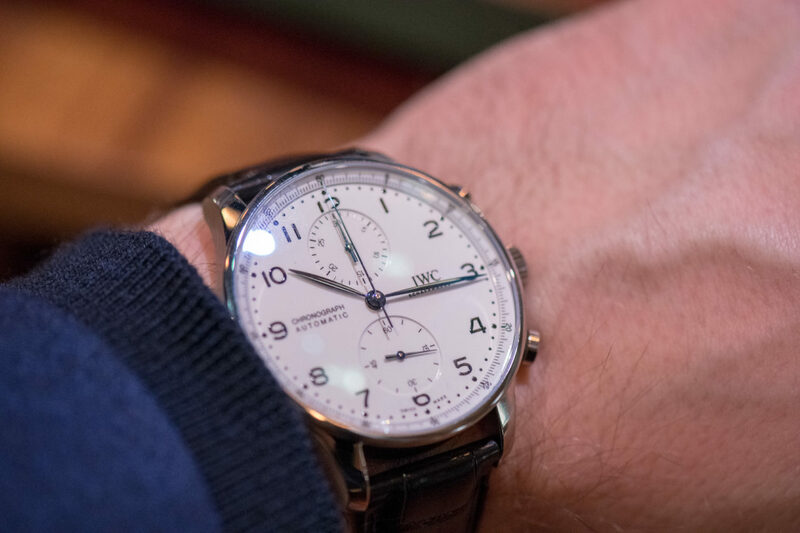 After many experiments – from the classic watches all the way to the sporty ones – this year belonged largely to the 1858 line. 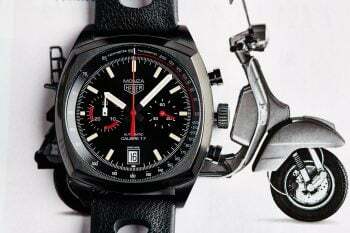 One of it’s chronographs is our next choice. Selected cause of its vintage style, perfectly embodied on the dial, for large subdials, for lack of awkwardly placed date window and for smart size of 42mm plus a good looking combination with a NATO strap. 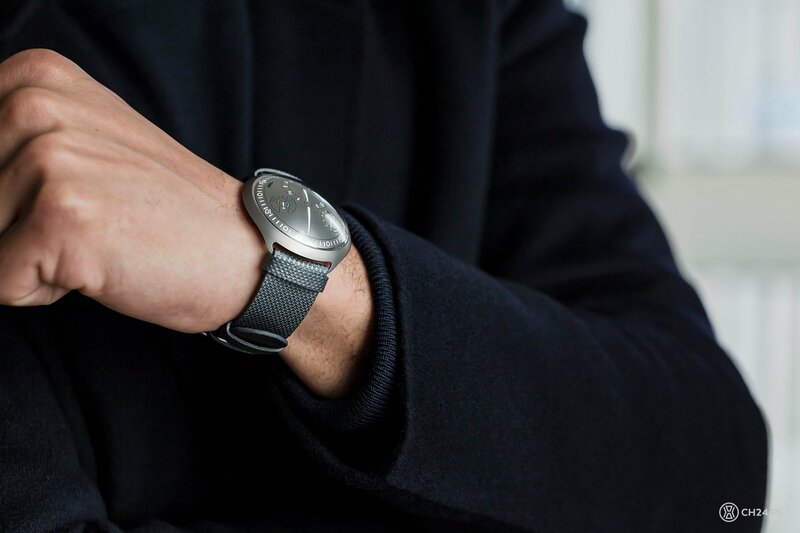 To sum it all up – it’s a well made and smartly designed watch. Frankly speaking not all the Polaris new collection by Jaeger-LeCoultre got my attention. JLC wanted to revamp the legendary Memovox design, but partly failed in doing so. Partly because two of the new watches – closely resembling the original reference – worked out pretty good. 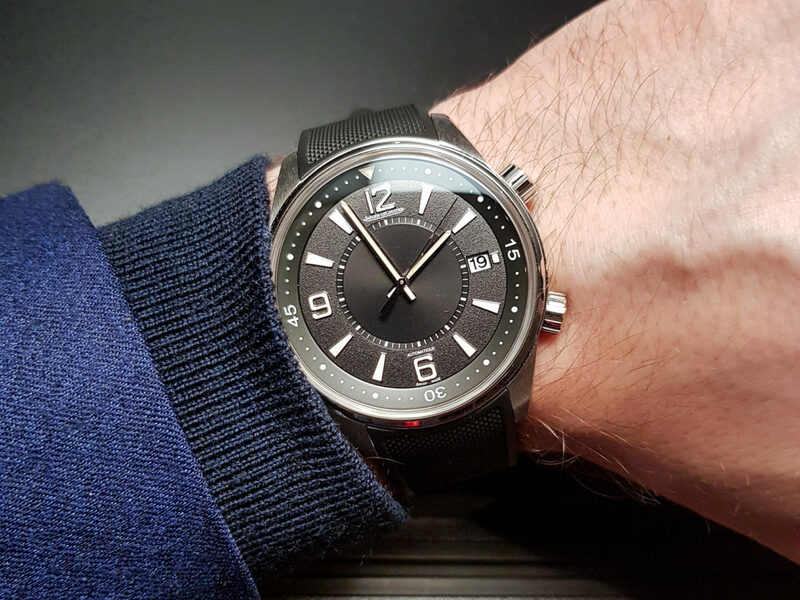 I don’t necessarily need an alarm in my watch, so instead of the Memovex my vote goes to the simpler Polaris Automatic Date – with highly usable date indication. Classic, waterproof Compressor type case with two crowns on the right hand side and restrained black dial with an inner diving ring works just perfect, especially when highlighted by quality execution and manufactured movement. I’ve fallen for this watch already a year ago. 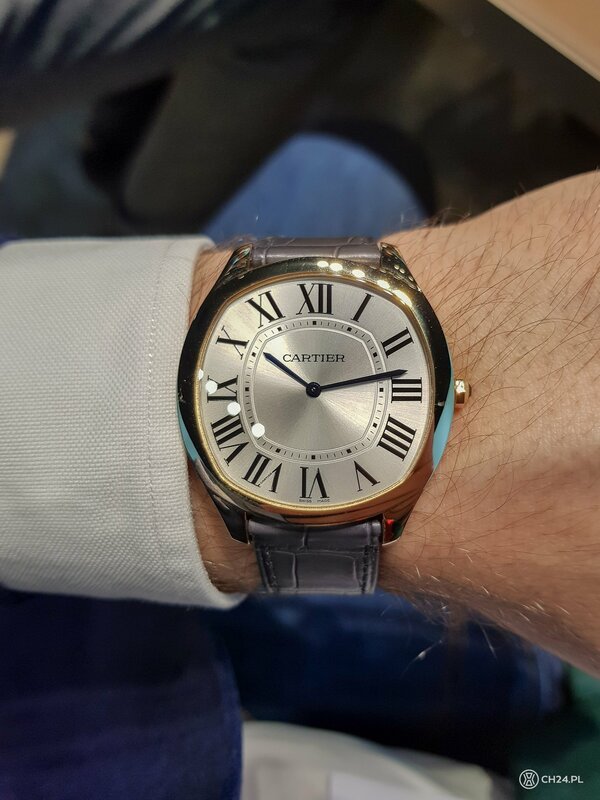 It might be second Cartier watch on our list, but I just could not resist myself. Drive, despite its very automotive name, is a quintessentially Cartier classic dress watch in a minimalist form of just two hands, slim case and manually wound movement. 2018 lineup with two gold watches was now enriched with two additional models, including one in highly demanded steel. That execution kept the charm while reducing the price significantly. And I just have one small issue with it – the pale yellow gold one is even more hot. We cover almost exclusively mechanical timepieces here on CH24.PL – it is what we love and what gives us pleasure to do. So why did I chose a piece with electronics in it? Ressence managed to utilize it in an unusual but very interesting and useful way. e-Crown is an electronic module mounted between a mechanical heart of the watch and it’s rotating-discs dial. When the watch simply stops working, we change a timezone or just realize it’s running late, all that has to be done is to tap the front glass, and all is set up correctly again. Of course electronics is electronics, but should be fun for those lazy ones… if it ends up in a serial production.